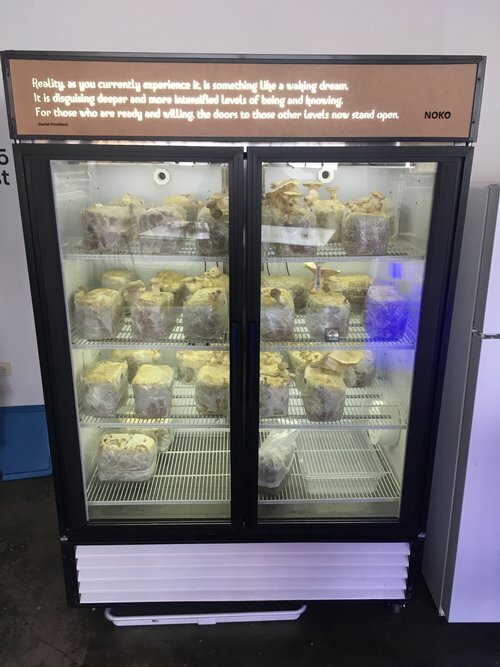 From the success of our prototype in Google Chicago’s cafeteria, they gave us a broken refrigerator to use for our next build. We lovingly named her, Momo. To start, we ripped the guts out, cleaned everything and rebuilt what was essential. We added custom stainless steel parts, heaters, FAE fans, humidification system, LEDs, a slew of sensors and a custom sign. Let the farming begin. We’ve grown Oysters, King Oysters, Lion’s Mane, plus we aged a camembert in the Momo. It easily holds 48 substrate blocks and averages 1 pounds on the first flush. Not too shabby for being in a warehouse. The down side is that because of all the crevices in the refrigerator, it creates a lot of space for contaminates to hide. As a result, our cleaning regimen is extra brutal. 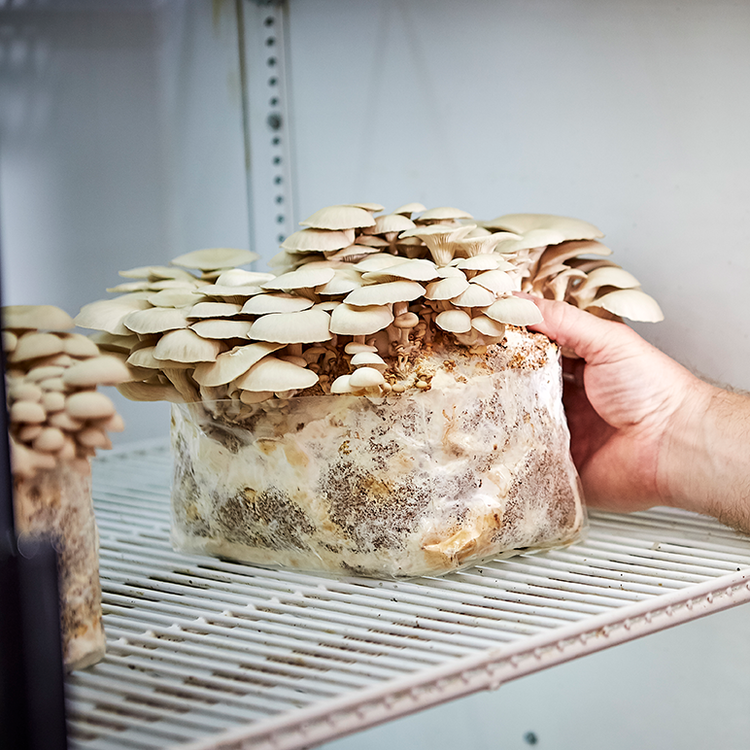 These days, Momo’s rocking a digital display and growing a healthy amount of Shiitakes on the North Side of Chicago. She’s blazing trails for us as our first farm, and there’s so much more to come. 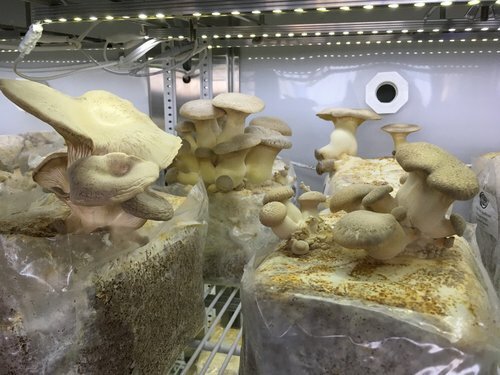 If you’re interested in ordering fresh mushrooms for your kitchen or restaurant, then apparently you read right past the bold, red link above.